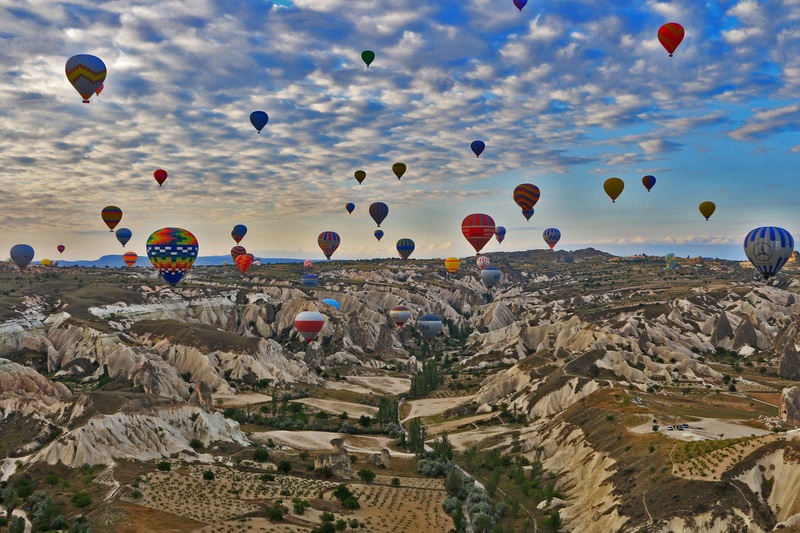 The city of Cappadocia in Turkey is fast becoming a favorite among travelers. Here you can enjoy exploring a myriad of natural wonders while discovering the interesting depths of Turkey’s rich ancient history. 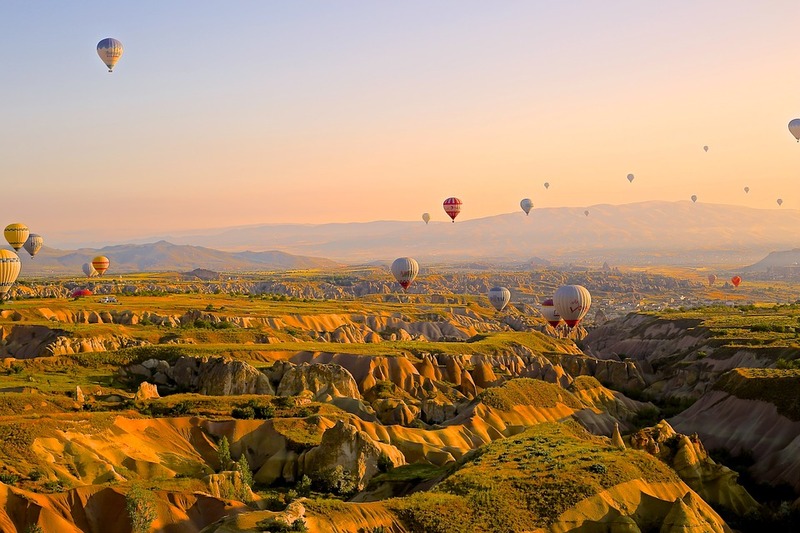 And the coolest thing about it is that you can either do the exploring over the skies while riding inside a hot air balloon, or trekking between its valleys. 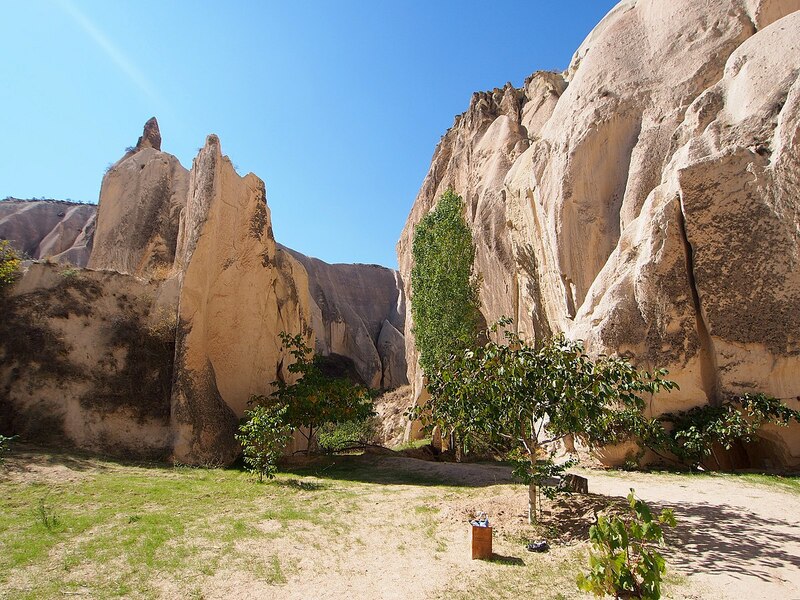 Here are some of the best historical adventure tours we recommend you try when you find yourself in Cappadocia. Venture 18 levels below ground level to explore Derinkuyu, the deepest and largest underground city in Turkey. Another highlight of the tour is the Selime Monastery, the biggest religious structure full of interconnecting tunnels. Enjoy lunch by the Melendiz River with the surroundings that are refreshing to the eye. 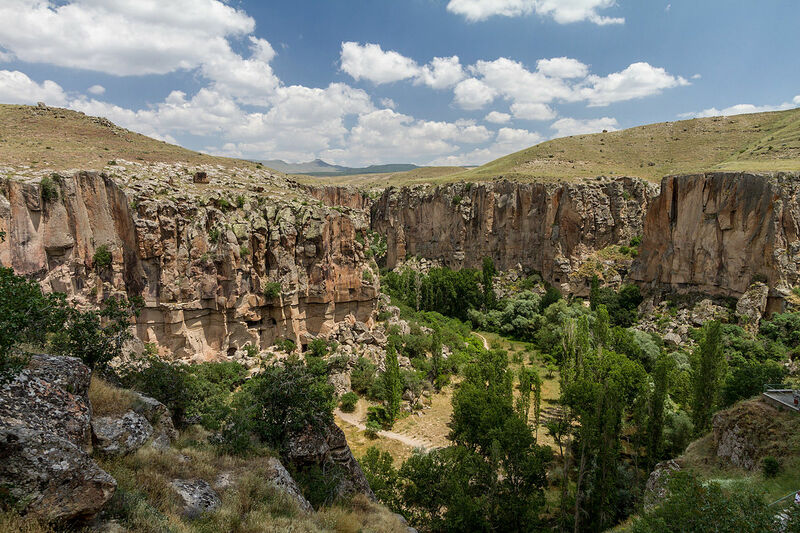 During this tour, you’ll also hike in Ihlara Valley where you can see Byzantine-era cave churches. Lastly, visit Pigeon Valley, which takes its name from the thousands of pigeons that flock here. This tour takes you on an exhilarating trek along the beautiful Red Valley. The valley derives its name from the crimson hue that color its landscape and surroundings. You’ll also visit Cavusin, an ancient town full of abandoned houses. Afterward, you’ll head to Kaymakli, another famous underground city in the area. Then you’ll visit Pigeon Valley, where you’ll find charming pigeon flocks. The last stop on this tour is Ortahisar Castle, a towering rock edifice overlooking the quaint town where it stands. 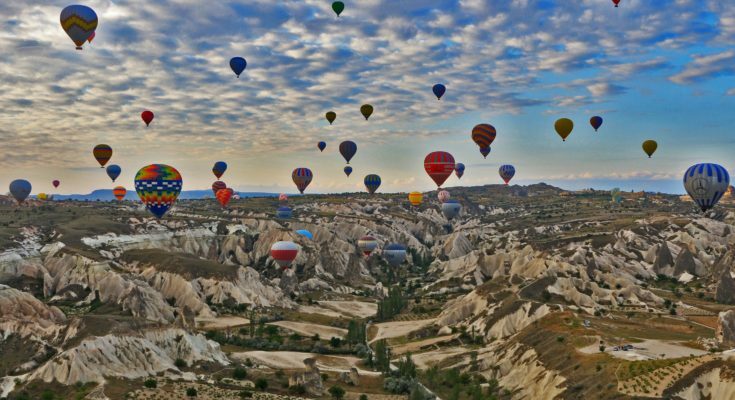 Explore Cappadocia by going on one of their famed hot air balloon flights. Fly high and bask in the magnificent view, unlike anything you have seen before. After having a hearty breakfast, you’ll venture high up in the sky to see the beautiful fairy chimneys of Monks Valley, the animal rock formations of Devrent Valley, and more! This is a once-in-a-lifetime chance that you should definitely not miss! 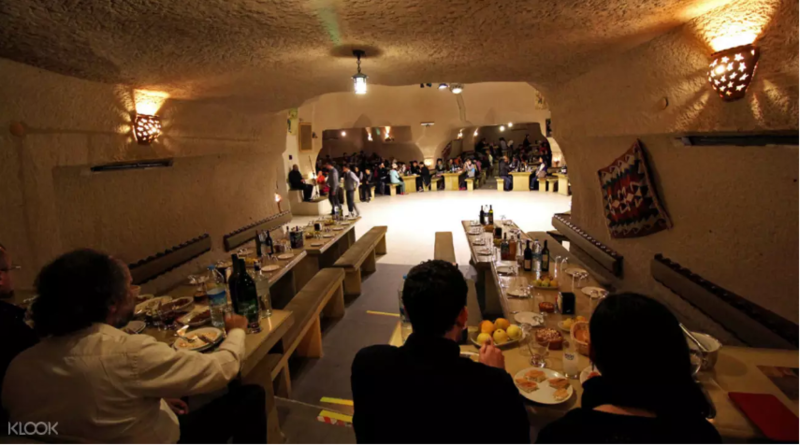 Experience the best of Turkish cuisine and entertainment in the mysterious and enchanting Cave Restaurant. Learn more about Turkish heritage and culture through their traditional cuisine and vibrant dancing culture. During the dinner, you’ll get to watch performances of the Ecviyinh fire dance, knife dancing, belly dancing, and even wedding dances. The evening ends with a lively and dramatic drum show.